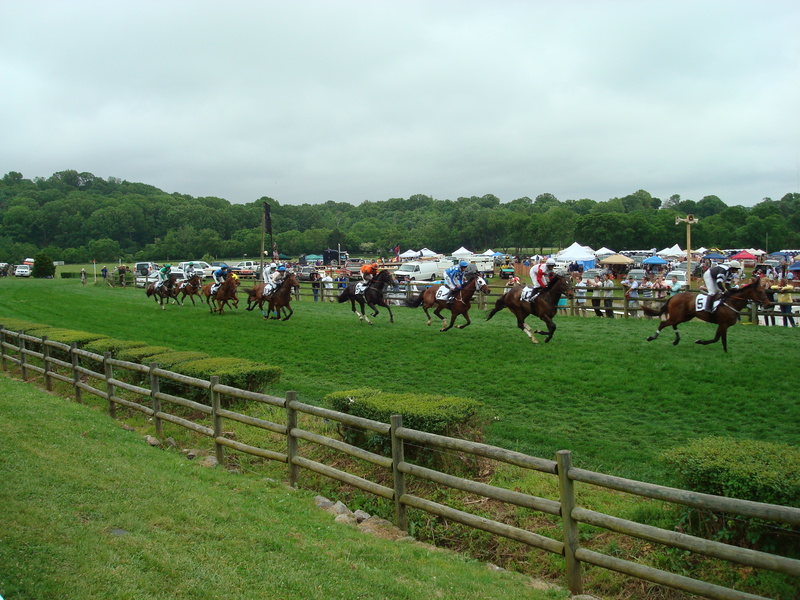 Did you know that “steeplechasing” can actually be used as a verb? 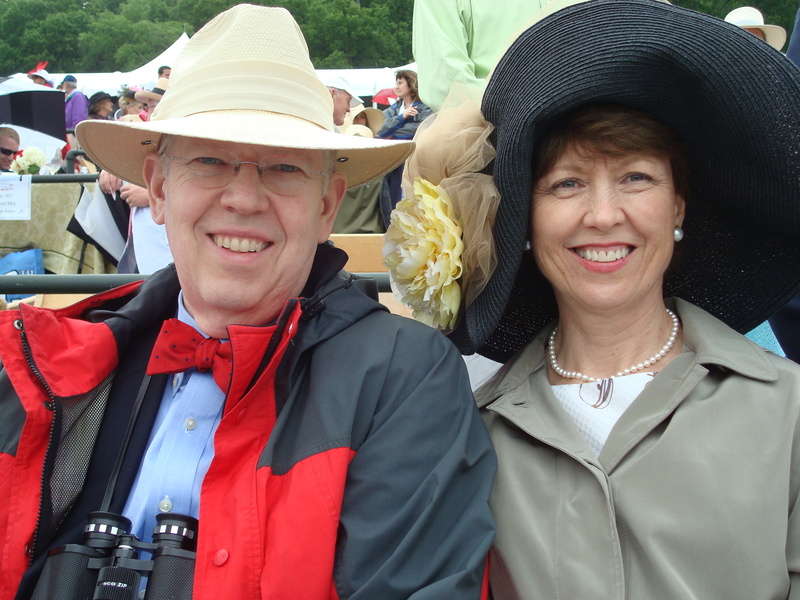 That’s what I found out this weekend while attending the 70th Annual Iroquois Steeplechase event at Percy Warner Park. We had a very fun time, thanks to our friends, the Leas. 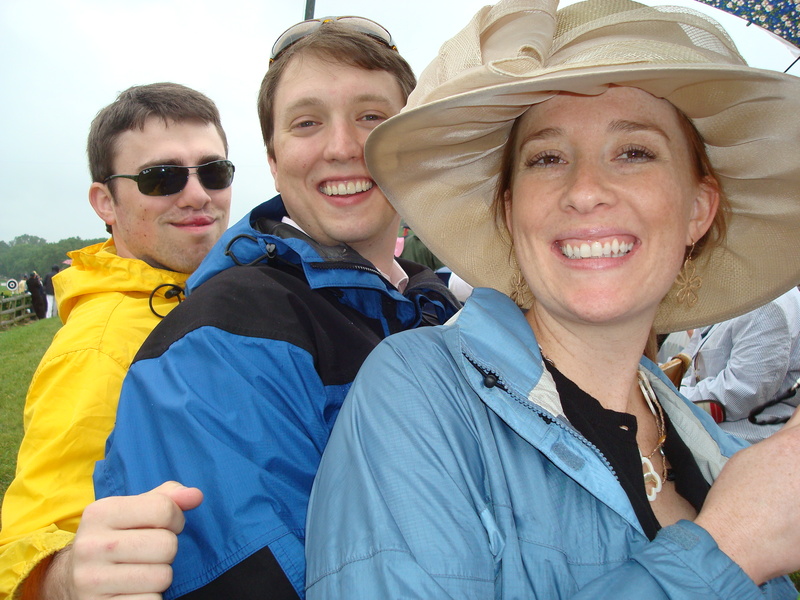 We were in a sweet box, right on the track, and everyone looked super cute, despite all the rain. We took some pictures pre-event with my dress and hat, but most of the time, we were flanked with rain boots and slickers. Here are some of the pictures from the event (thanks for humoring me since these are mostly for my mom to see!). the running of the hounds between races 6 and 7... such cute pups! We did only mild betting, and I had a bit of a losing streak all day. I was finally victorious after choosing the winning horse — Tax Ruling — to be the ultimate winner of the day. What a fun day… an experience I will never forget! Your mom is duly impressed. Your hat ribbon matched Mr. Lea’s bowtie. Clever. 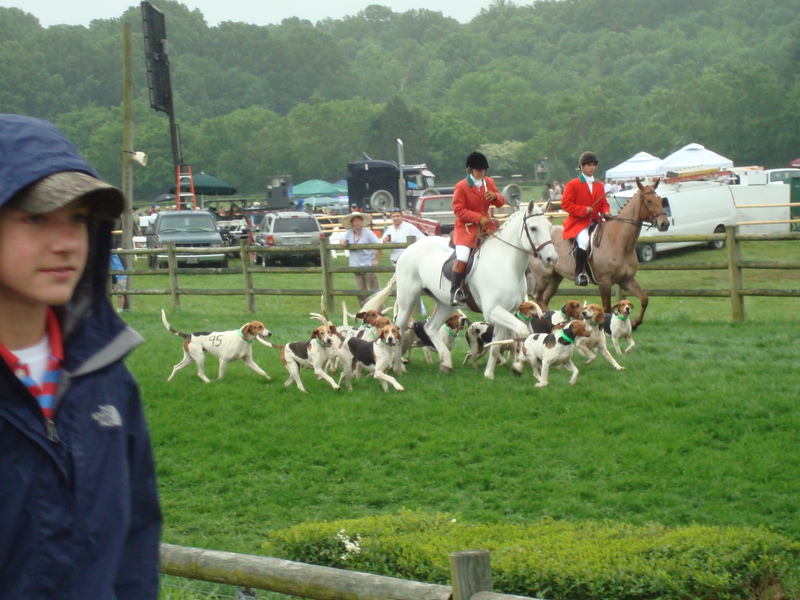 Oh man, I think the Foxhounds are prettier than the horses.